The decision to cut Saturday delivery should be seen as equivalent to a deep cut to Social Security. A vital service is being attacked in pursuit of privatization. But the current frontline of the austerity agenda is the assault on the US Postal Service, a vital public service that is older than the country. And it is advancing rapidly. On Wednesday, the Postal Service announced that Saturday first-class mail delivery is scheduled for elimination at the beginning of August—the latest and deepest in a series of cuts that threatens to so undermine the service that it will be ripe for bartering off to the private delivery corporations that have long coveted its high-end components. “USPS executives cannot save the Postal Service by tearing it apart. These across-the-board cutbacks will weaken the nation’s mail system and put it on a path to privatization," declares American Postal Workers Union president Cliff Guffey. “The postmaster general cannot save the Postal Service by ending one of its major competitive advantages. Cutting six-day delivery is not a viable plan for the future. It will lead to a death spiral that will harm rural America while doing very little to improve the financial condition of the Postal Service,” says US Senator Bernie Sanders, who has had some success in promoting Senate efforts to avert deep cuts to the Postal Service. “Providing fewer services and less quality will cause more customers to seek other options. Rural Americans, businesses, senior citizens and veterans will be hurt by ending Saturday mail." There is no question that Congress can save Saturday service. Unfortunately, while the Senate has endorsed smart reforms that benefit the service and its customers, the House has resisted action. The House will act only if Americans raise an outcry. And they should. Because if this austerity fight is lost, it will not be the last defeat for public services and public workers. The damage associated with the curtailing of Saturday delivery will be most severe in rural areas and inner cities, where small businesses and working families rely on local post offices that are already targeted for shuttering. It will, as well, be particularly harmful to the elderly, the disabled and others who rely on regular delivery and the human connection provided by letter carriers and rural delivery drivers. 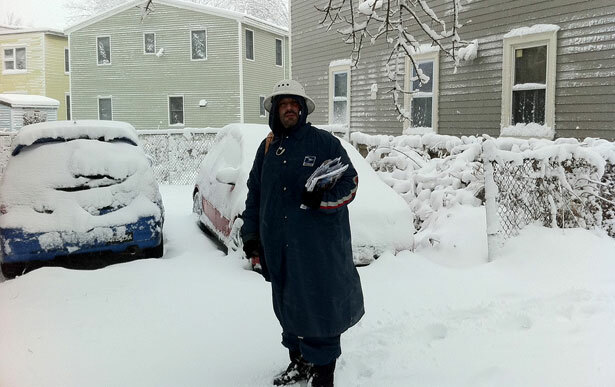 The plan to end key Saturday services, which has been correctly described by the National Association of Letter Carriers as “a disastrous idea that would have a profoundly negative effect on the Postal Service and on millions of customers,” is not necessary. Ryan and his fellow proponents of austerity manufactured the current crisis in USPS funding, when they enacted the Postal Accountability and Enhancement Act of 2006 (PAEA). The PAEA forced the Postal Service to prefund its future healthcare benefit payments to retirees for the next seventy-five years. That’s something no major corporation could or would do, as it required the service to divert more than $5 billion annually to prepay the health benefits of retirees who have not yet been hired. Rolando is right. Congress can and should intervene to preserve Saturday delivery, to provide bridge funding for the service and to develop a plan that undoes the damage done by the PAEA and reforms rules so that the Postal Service can compete in the digital era. This is doable. The Postal Service needs to make changes. No one argues with that. But the changes should—along the lines outlined by Sanders and his allies in the Senate—allow the service to compete with private delivery firms, and they should capitalize on a rural infrastructure that can play an key role in broadband buildout and the development of new financial and community services. The current leadership of the Postal Service will not save it; they have bought into the austerity lie. Indeed, with the Saturday delivery cut, they are promoting austerity on steroids. Any move to save the Postal Service requires members of Congress, not just Democrats but responsible Republicans, to reject austerity and get serious about maintaining vital public services. This is not an option. It is a constitutional responsibility. If Congress will not follow a constitutional charge to protect the Postal Service, should we really expect that it will defend Social Secuity, Medicare, Medicaid and other public services? The question should tell us that the work of preserving and expanding the Postal Service is an essential battle in the fight against the austerity lie. Read Allison Kilkenny’s take on the slashing and burning of Philadelphia’s public school system. TAKE ACTION: Tell Congress to Keep Saturday Delivery!